A van driver swerved in front of Stomper Li's vehicle and stopped at a traffic junction along Sims Avenue on Jan 6 at about 7.22pm, before hurling vulgarities at him. The Stomper has since lodged a police report regarding the incident. In response to a Stomp query, the police said: "The police confirm that a report has been lodged and police investigations are ongoing." Li, a Go-Jek driver, was headed towards Kinex, formerly known as OneKM shopping mall, to pick up a passenger. A video of the incident was captured by his in-car camera. In the video, the white van can be seen abruptly swerving left in front of the Stomper's vehicle from the rightmost lane. Then, the van driver jams on the brakes. Li filters into the rightmost lane and the van driver swerves in front of Li's car to block him. Li told Stomp: " I was confused and didn't know what he was doing." The van then suddenly stops at a junction along the road, despite the green light showing. The van driver leaves his vehicle and walks up to Li's car. He shouts at Li in Mandarin: "Come out!" Li refuses and the van driver hurls vulgarities at him. Then, as the van driver walks back towards his van, Li says: "I put on Stomp ok?" The van driver stops to look at Li, ignores his remark and drives away. Li said: "I didn't know why he stopped to swear at me." 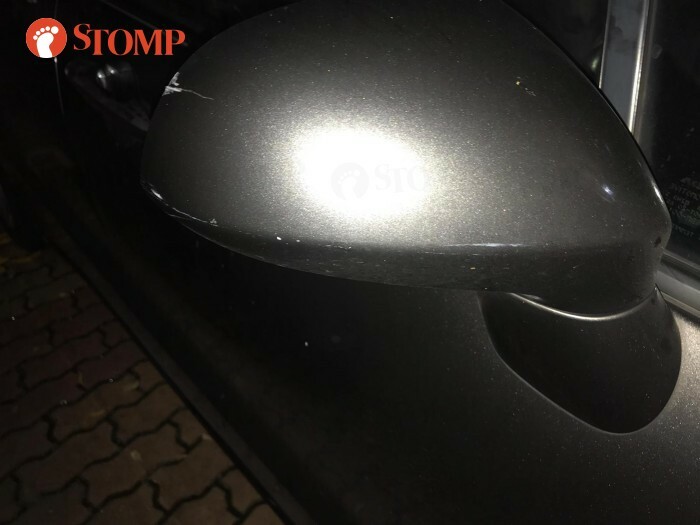 In a picture Li sent to Stomp, small scratches can be seen on the side of his mirror. In the police report Li made, he also said that he found scratch marks on his side mirror. "It is probably because he hit the mirror while he was shouting at me," he added.